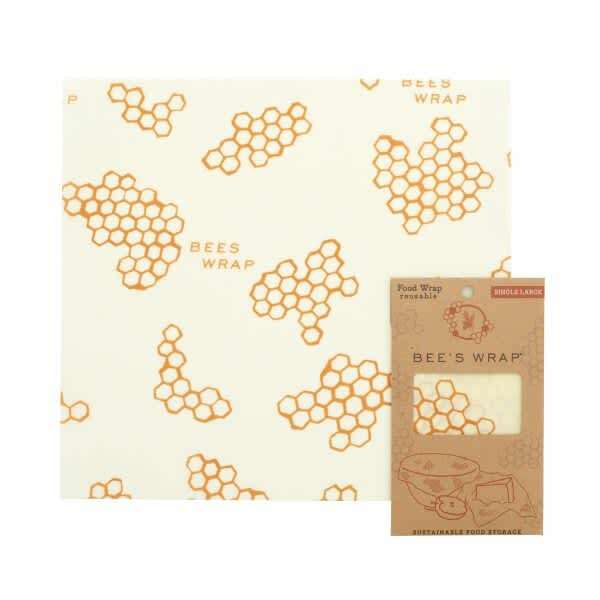 Bees wrap: The natural alternative to plastic wrap for food storage. Keep food fresher longer with our reusable, compostable food wraps! These gorgeous single large wraps are an ingenious and toxin-free way to wrap up your food, keeping it fresh and getting rid of those pesky plastic bags. Prep in London, United Kingdom.